Designing with LED technology has never been so easy! 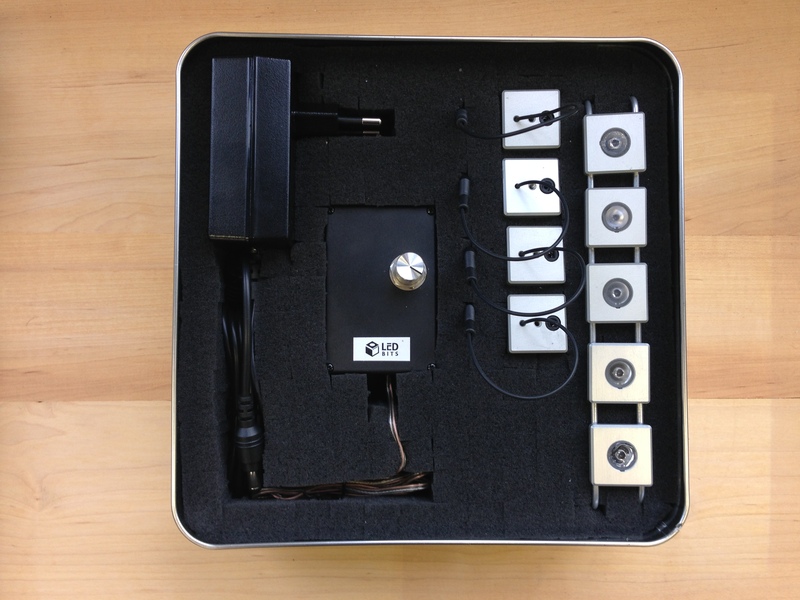 LEDbits is a modulair system: there are modules for LEDs, optics, drivers, sensors and mounting. The system is completely compatible with Arduino or equal boards. It enables designers to experience LED Technology in a simple way and enable integrating it into their own work. The system is a brilliant example of how new product design and new engineering technology smoothly merge together. A close cooperation between an inventive engineer and creative designer resulted in this newborn invention that intends to lower the bar for designers. The full concept was developed in-house and initially introduced to the market at the international Lighting Show LuxLive 2015. The domestic market launch found place at LED Evenement 2015 in Den Bosch, The Netherlands. The inventive system was designed by Studio Philip Ross and PicusLED.